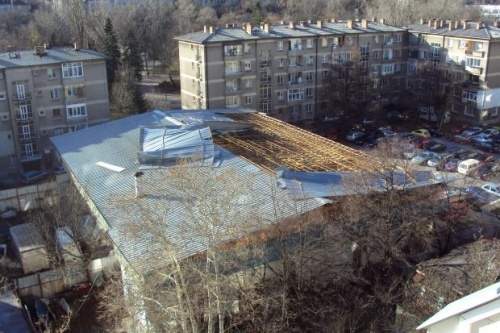 The hurricane-like winds have caused power outages, fallen trees and tin roof damages across Bulgaria Monday morning, the Civil Defense reports. In Sofia, 7 000 customers are without power, according to information from the CEZ power utility – the blackout involves parts of the Sofia districts of "Dragalevtsi," "Ovcha Kupel 1," "Suhodol," "Gorna Banya," "Knyazhevo," and "Gorublyane." CEZ further say their emergency teams are working to restore power. Power outages are also reported in the nearby villages of Bistritsa, Zheleznitsa, Pancharevo, Vladaya, the Vitosha Mountain Park, parts of the "Borovets" winter resort, and a number of other locations in western Bulgaria. Customers can call the CEZ 070010010 hotline. There no reported injuries from the wind, but there is a strong possibility of material damage to parked cars over fallen tin roofs and trees. Winds will reach speeds of over 90 km/h all over Bulgaria Monday, according to the Institute for Meteorology and Hydrology at the Bulgarian Academy of Sciences. The Institute has issued a code orange for dangerous winds in the regions of Kyustendil, Blagoevgrad, Kardzhali, Lovech, Gabrovo, Veliko Tarnovo, Targovishte, Razgrad, Shumen, Varna, Dobrich and Burgas. The forecast is for diminishing winds Monday afternoon.